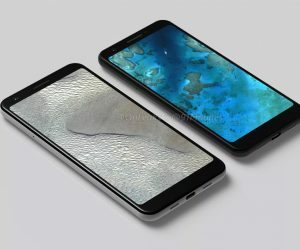 With Android 5.0 Lollipop showing up on the Moto X, being announced for the LG G3, and of course Google’s latest round of Nexus devices hitting the Play Store, Android fans have been wondering when the latest sweet treat from Google will hit their wrist computer. Yesterday, we showed you the first part of that update with Material Design changes and features coming to the Android Wear companion app. Today, we’re going to show you the second part of our two part feature: this is an exclusive look into some of the new features coming to the Android Wear 5.0 Lollipop update. 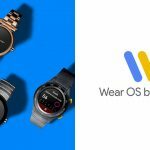 Once your Android Wear smartwatch has been updated to Android 5.0 Lollipop, the Android Wear companion app truly comes to life, adding additional features. The most notable are Watch battery and Watch storage. The Watch battery page resembles what you would find under the battery information on your phone or tablet, displaying a graph with estimated battery life as well as a breakdown of which apps are chewing away at battery juices. The Lollipop update for Android Wear includes a Watch storage monitor through the companion app, allowing you to see which apps are the most storage hungry. With the recent capability of storing music on your wearable, it’s beneficial to know exactly where you stand storage wise. You’ll also notice that Debugging over Bluetooth is back. Congrats developers! Not pictured above but extremely important, you can now change your Watch face directly from the companion app. 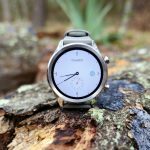 Beyond the companion app, the developers and general watch face enthusiasts will be quite happy to see an official watch face API launch with Lollipop. The newly revamped watch face API allows for even further customization thanks to a settings menu existing on the watch face itself. Watch faces on the Lollipop update allow for weather notifications to be displayed directly on the watch face, cutting out the need to swipe through your cards for the Google Now weather card. 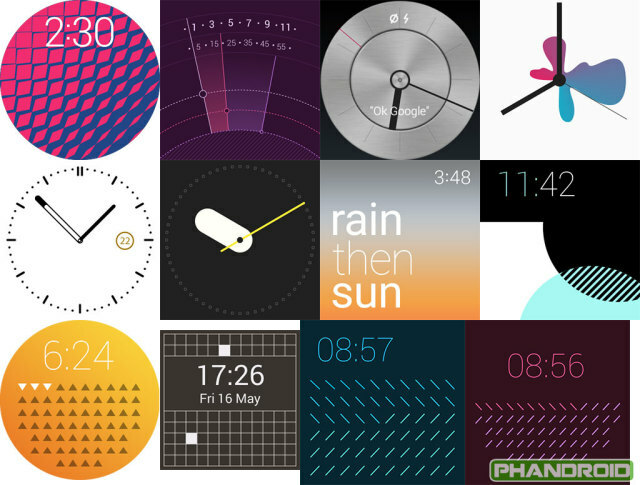 Some of the new watch faces and weather icons are shown below. The more watch faces the merrier. If you’ve ever dismissed a notification card on Android Wear to have immediately regretted that decision, you’ll be happy to know that dismissed cards can now be recovered with a simple swipe. Just swipe upwards and you’ll be presented with an undo option. This is probably one of the most sought after features since the launch of the platform and we even mentioned it here, while detailing a few features we’d like to see changed or updated in the future. Another complaint with Android Wear surrounds screen brightness. For example, while at a movie theater, it’s generally frowned upon to have a bright light emanating from your wrist while others are trying to enjoy the darkness. Oppositely, it’s hard to read your smartwatch while in direct sunlight. While third party applications exist to turn screen brightness up or down (and you can also mute notifications on your phone and on your smartwatch to solve this issue), clearly something a bit more user friendly needs to be done. Android 5.0 Lollipop will introduce Theater mode and Sunlight mode. These new screen modes can be accessed through revamped options that appear when you swipe down. With Lollipop, swiping down will bring about a new menu. The new menu is then navigated by swiping to the left and includes Theater mode, Sunlight mode, Silence, and Settings. With Theater mode, the screen stays off unless you press the hardware button or double tap the screen. 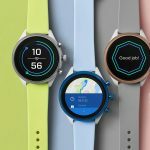 Lollipop for Android Wear adds new accessibility features which should make viewing and interacting with your smartwatch easier for those that need a little extra help. 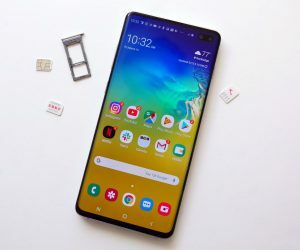 The accessibility features included large text, color inversion, and magnification gestures. These can all be enabled and disabled from the Settings menu. 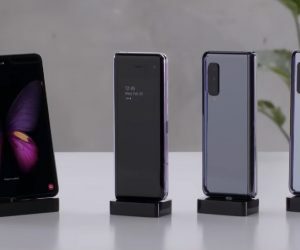 The main action menu which can be launched with a tap on the screen or voicing the launch command ‘ok google’ while the screen is active is partaking in a major update with Lollipop too. The menu now sorts actions based on your most recently used feature. If you’re often launching commands via the touch interface, this is a welcomed changed. The reordering of the menu based on your use habits isn’t new to Google’s wearables either, this feature has been in Google Glass for a while now. Good stuff with more on the way! 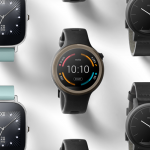 From what we can see, the overall user experience and user interface remains the same for Android Wear 5.0. Many have been expecting a more Material Design take on things, but from the looks of it, that isn’t happening right now. Thankfully Google has addressed a few user pain points with this release and aims to pack in feature tweaks as well. As always, features are subject to change and could be removed or added when the update rolls out to devices. As for a time frame, we’re hearing sometime in early December, which is about a month away. 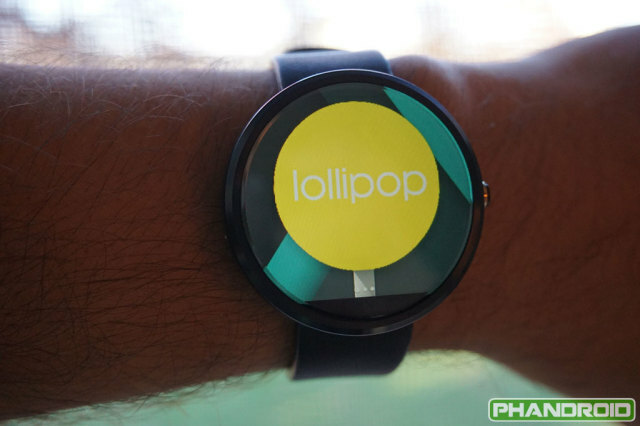 Are you liking what you see with the Android Wear 5.0 Lollipop update? 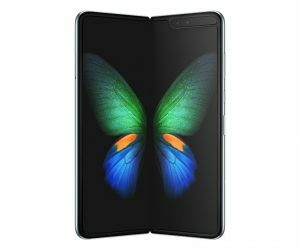 What features were you hoping for that weren’t mentioned above? Let us know in the comments.